It’s 2018 and data analytics continues to help individuals and industries better understand where expectations are and how to continuously raise the bar of performance. So, what does data analytics have to do with a healthcare blog? 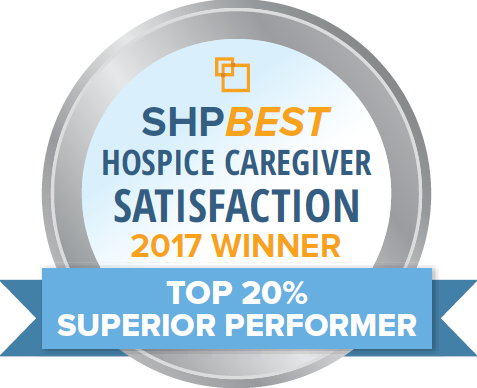 Recently Hearts for Hospice in American Fork, Utah has received the Superior Performer SHPBest 2017 award for hospice caregiver satisfaction! Hearts for Hospice’s dedication, compassion, and commitment to providing quality care in 2017 has led the team to be graciously given this award and represent one of two facilities in Utah to wear this badge of honor. Huge congratulations to the Hearts for Hospice team for all their hard work, it certainly hasn’t gone unnoticed! But to simply put it, the SHPBest Program continuously and annually recognizes and scores the quality of care given to families and patients from hospice providers enrolled in the program. Like I said earlier it’s 2018 and in the data-driven world of healthcare, transparency, patient satisfaction, and a combination of the right attributes and tools are important expectations to consider within the industry. So…who helps set, measure, and influence standards and expectations healthcare providers should be following? First, the list of compliance and regulations begins with CMS and are followed by an ever-growing list. With the help of one outstanding company in particular, SHP – Strategic Healthcare Programs help ensure that compliance standards are easily being tracked and minimums are met. SHP provides helpful tools which give our healthcare professionals reports of real-time data to help manage and be able to make informed decisions that could help fine-tune performance. 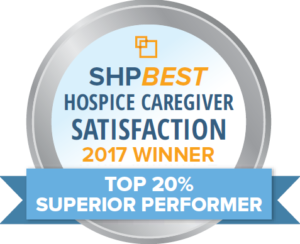 In order to receive or qualify for one of SHP’s annual awards such as the Best-of-the-Best, Premier Performer, and Superior Performer the hospice facility needs to not only be enrolled in SHP’s program but also comply with the minimum completed surveys turned in for CAHPS. From there, “Awards are determined based on the ranking of the Overall Score for a provider against all eligible providers in the SHP database…”. So how do the awards mentioned above rank? Well, the ‘Best-of-the-Best’ award goes to the company with the best Overall Score. The ‘Premier Performer’ awards go to the top 5% ranking providers and the ‘Superior Performer’ awards go to the top 20% of providers who rank. Again, a huge thanks goes to our Hearts for Hospice – American Fork team for all their hard work that goes into achieving this accomplishment! If you wish to join the team or see how our services can help benefit you please contact us.